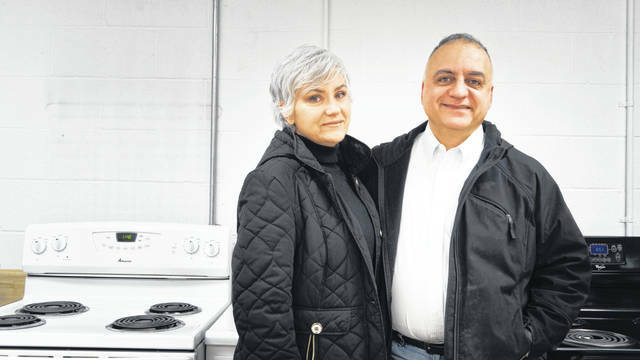 RUTLAND — For National Volunteer Appreciation Week, the Southeast Ohio Foodbank and Kitchen recognized Anita and Moe Hajivandi, who run the River of Life Care Closet in Rutland, Ohio. Last year, the Care Closet served 5,000 people and 33,000 meals. The Care Closet is a member pantry of the Southeast Ohio Foodbank & Kitchen, a program of Hocking Athens Perry Community Action. River of Life Care Closet is located at River of Life Church, 37032 OH-124 and serves Meigs County residents on Wednesdays. Information from the Southeast Ohio Foodbank & Kitchen.